Somewhere between brand new models and well-used cars exists a sector of vehicles that are nearly new mechanically– but come with a price tag that is considerably less than new models on the lot. 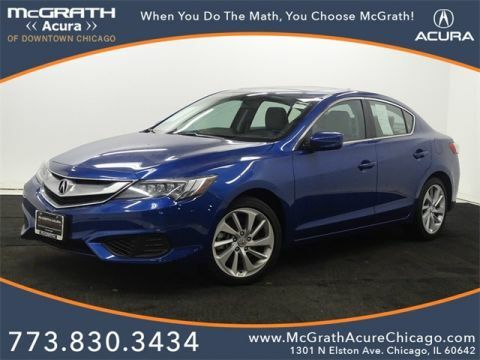 Chicago drivers will be delighted by the current selection of used cars with under 30,000 miles that are available on the lots of Chicagoland Acura Dealers. 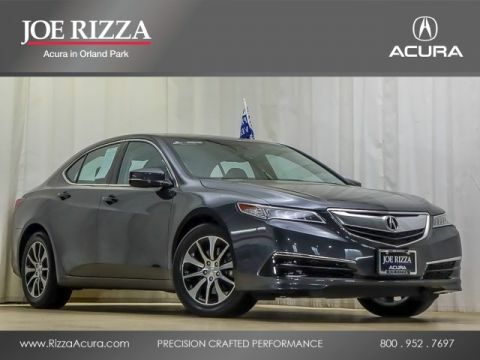 Many of these used Acura cars have completed and passed the Acura Certified Pre-Owned Program, which comes with many superb benefits, like a 12-month/12,000-mile Certified Limited Warranty, and added peace of mind. Acura has built a reputation around value and reliability. Over the years they have earned many prestigious awards and titles, with one of the most recent coming from Kelley Blue Book. In their 2017 5-Year Cost to Own Awards they found Acura to be the winner of the Best Luxury Brand. KBB states, “While value and luxury are often seen as mutually exclusive concepts, much of Acura’s appeal can be attributed to the fact that it delivers both. 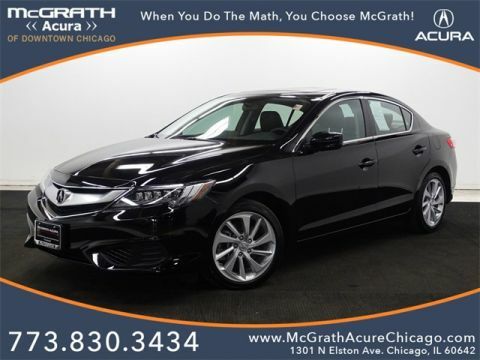 […] A reputation for trouble-free, low-cost ownership is another key draw.” Recognitions such as this make it even easier to believe that when purchasing a used Acura car with under 30,000 miles it will take you well into 6-digit mile figures! 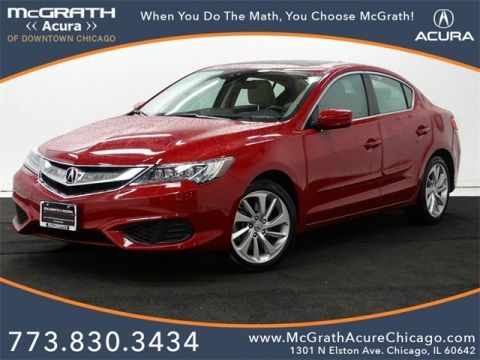 There are a lot of Acura dealerships, but there is only one MULLER Acura of Merrillville!!! Come see the way car buying should be--discover the MULLER difference at our brand new AWARD WINNING state-of-the art facility!! Here, it's all about YOU, we strive to exceed your expectations from test drive to delivery and beyond!!! Forget the rest and experience the BEST, call us RIGHT NOW at 219-472-7000 or email us at sales@mulleracuraofmerrillville.com, you will not be disappointed!! 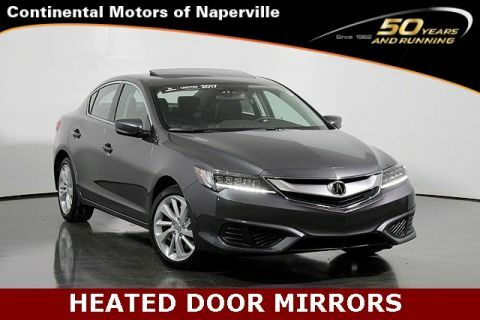 !FORGET THE REST CHECK OUT THE BEST AT MULLER Acura of Merrillville!!! Why buy brand new when you can buy Acura Certified? Because Acura Certified provides ownership advantages of a BRAND NEW Acura with economic advantages of a preowned vehicle! 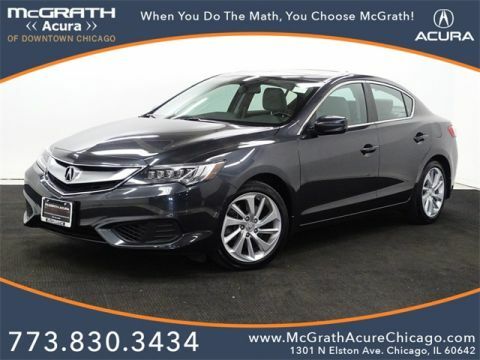 This2018 Acura ILX Sedan has gone through the Acura 182 point mechanical and appearance inspection and it is ready to go!!!! Why buy at MULLER Acura of Merrillville versus the others? Because we are here to change the way you perceive the car buying experience, it's equivalent to vacationing at a 5-STAR resort: we guarantee you will not be disappointed, we have received Acura CLIENT EXCELLENCE AWARDS for our customer oriented approach and our brand new state of the art facility!! Come experience it for yourself, call us right now at 219-472-7000 or email us at predriven@mulleracuranwi.com!! Recent Arrival! CARFAX One-Owner. Clean CARFAX. Certified. 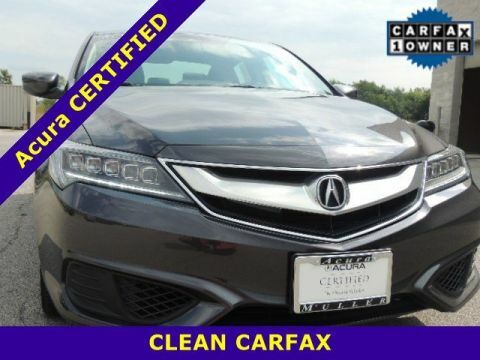 **ACCIDENT FREE CARFAX**, **LEATHER **, **SUNROOF/MOONROOF**, **ONE OWNER**, **Acura CERTIFIED**, **NAVIGATION/GPS**, **LOW MILES**, **BLUETOOTH**. 25/36 City/Highway MPG Acura Certified Pre-Owned Details: * Roadside Assistance * Vehicle History * Limited Warranty: 12 Month/12,000 Mile (whichever comes first) after new car warranty expires or from certified purchase date * Powertrain Limited Warranty: 84 Month/100,000 Mile (whichever comes first) from original in-service date * 182 Point Inspection * Includes Trip Interruption and Concierge Services * Transferable Warranty * Warranty Deductible: $0 Awards: * 2016 KBB.com Best Buy Awards Finalist * 2016 KBB.com 5-Year Cost to Own Awards 2016 Kelley Blue Book Brand Image Awards are based on the Brand Watch(tm) study from Kelley Blue Book Market Intelligence. Award calculated among non-luxury shoppers. For more information, visit www.kbb.com. 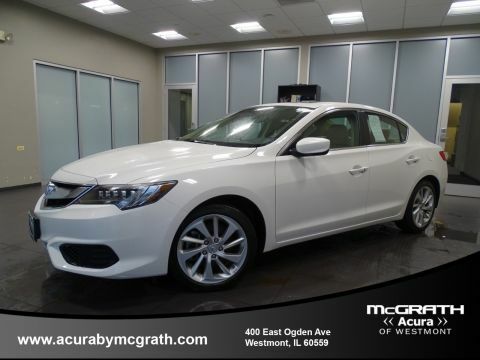 Kelley Blue Book is a registered trademark of Kelley Blue Book Co., Inc.
Sharp looking well maintained Loaded One Local Owner 2017 Acura TLX sedan. LOW RATE FINANCING AVAILABLE WITH INSTANT APPROVAL, WE WANT YOUR TRADE-IN and WE GUARANTEE NO ONE WILL GIVE YOU MORE! 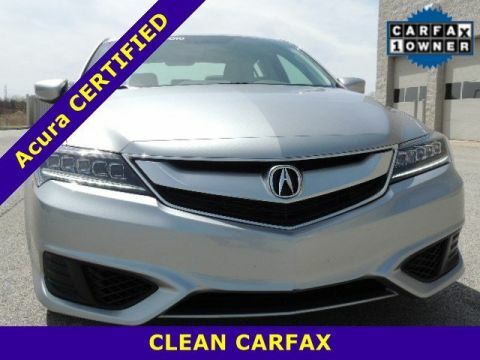 Drive off the lot with complete peace of mind, knowing that this Acura TLX is covered by the CARFAX Buyback Guarantee. 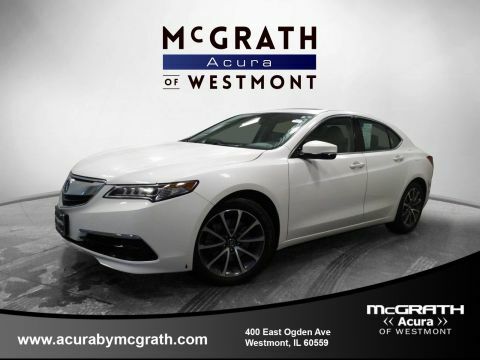 At Napleton Acura Elmhurst we strive to provide you with the best quality vehicles for the lowest prices, and this Acura TLX is no exception. Independent Inspections are Welcome. *2017 5-Year Cost to Own Awards *2016 Brand Image Awards. *The 2017 Acura TLX sedan has a five-star overall safety rating from NHTSA (out of a possible five stars). Features include Jewel Eye LED headlights, automatic climate control, premium audio system, multi-view camera, and smart entry. The Acura TLX engine is a inline-four making 206 hp and 182 lb-ft. An eight-speed dual-clutch transmission with torque converter sends power to the front wheels. This drivetrain is EPA-rated at 24/35 mpg city/highway. 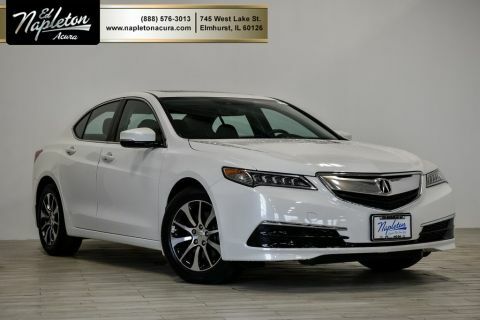 With its clean, stylish exterior and handsome, technology-rich interior, the 2017 Acura TLX sports sedan is the luxury car for people who value intelligent design as much as they do a good deal. The competition has reason to be worried. 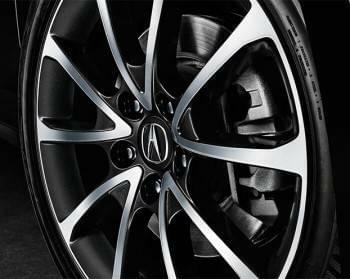 Competitors cost much more when optioned to match the TLX, while others, can't match the TLX's comfortably smooth ride. 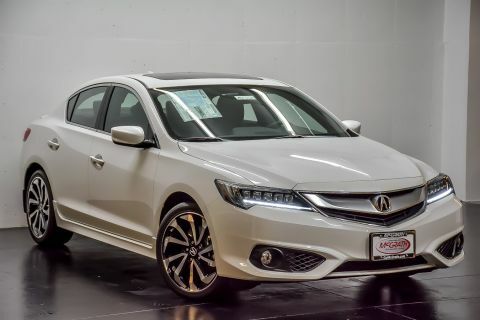 The TLX also excels in the areas of safety and value, exhibiting a nearly flawless execution of fit and finish and cutting-edge driver-assist systems. 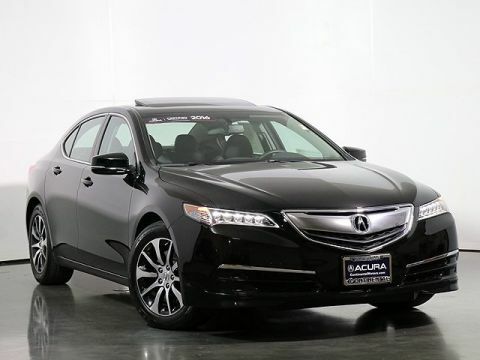 Great looking well maintained Loaded One Owner Acura TLX with Technology Package. LOW RATE FINANCING AVAILABLE WITH INSTANT APPROVAL, WE WANT YOUR TRADE-IN and WE GUARANTEE NO ONE WILL GIVE YOU MORE! 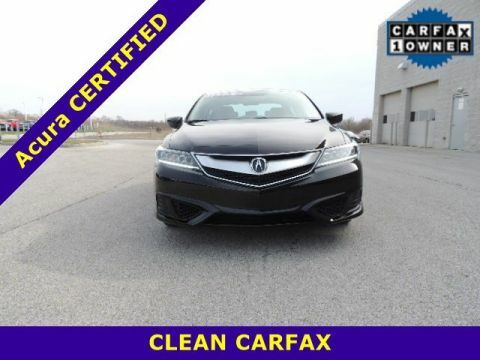 Drive off the lot with complete peace of mind, knowing that this Acura TLX TECH is covered by the CARFAX Buyback Guarantee. 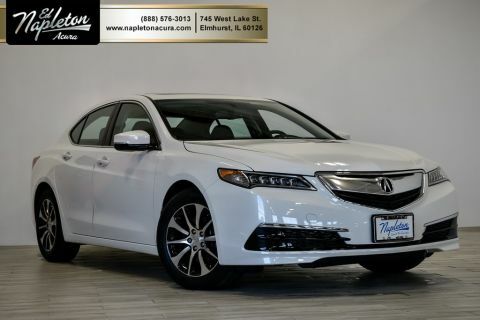 At Napleton Acura Elmhurst we strive to provide you with the best quality vehicles for the lowest prices, and this Acura TLX TECH is no exception. Independent Inspections are Welcome. *ALG Residual Value Awards *2016 10 Best Luxury Cars *2016 5-Year Cost to Own Awards *2016 Kelley Blue Book Brand Image Awards. CARFAX One-Owner. Clean CARFAX. 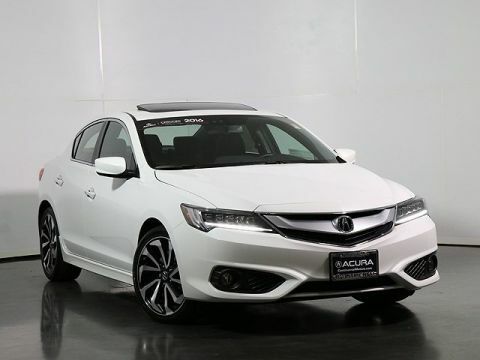 2017 Acura Premium and A-SPEC Packages ILX White25/35 City/Highway MPGAwards:* 2017 IIHS Top Safety Pick (When equipped with optional front crash protection) * 2017 KBB.com 5-Year Cost to Own Awards2016 Kelley Blue Book Brand Image Awards are based on the Brand Watch(tm) study from Kelley Blue Book Market Intelligence. Award calculated among non-luxury shoppers. For more information, visit www.kbb.com. Kelley Blue Book is a registered trademark of Kelley Blue Book Co., Inc.*Insurance Institute for Highway Safety. Reviews:* Competitive pricing for a car with its level of equipment; precise steering lends a sense of sportiness; excellent crash test scores. 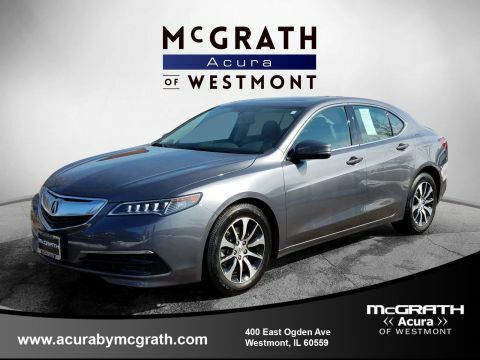 Source: EdmundsMcGrath Acura of Morton Grove is Illinois' original Acura dealer! We have been serving the Chicago Area for over 30 years! We Offer an Exceptional Sales and Service experience in our state of the art facility. We have over 100 cars in our exclusive indoor climate controlled showroom. 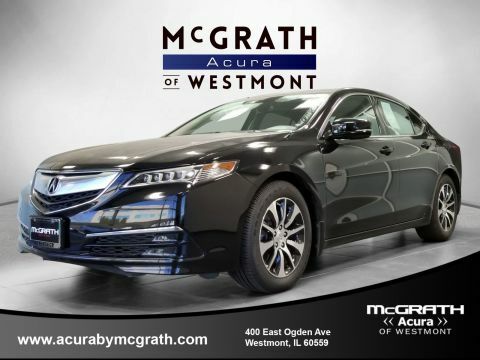 McGrath Acura has an extensive fleet of complimentary service loaners, and free car washes for life for our customers. Come see us today!4-Wheel Disc Brakes, 7 Speakers, ABS brakes, Air Conditioning, Alloy wheels, AM/FM radio: SiriusXM, Auto-dimming Rear-View mirror, Automatic temperature control, Blind spot sensor: warning, Brake assist, Bumpers: body-color, CD player, Delay-off headlights, Driver door bin, Driver vanity mirror, Dual front impact airbags, Dual front side impact airbags, Electronic Stability Control, Exterior Parking Camera Rear, Four wheel independent suspension, Front anti-roll bar, Front Bucket Seats, Front Center Armrest, Front dual zone A/C, Front fog lights, Front reading lights, Fully automatic headlights, Garage door transmitter: HomeLink, Heated door mirrors, Heated front seats, Heated Front Sport Seats, Illuminated entry, Leather Shift Knob, Leather steering wheel, Low tire pressure warning, Memory seat, Occupant sensing airbag, Outside temperature display, Overhead airbag, Panic alarm, Passenger door bin, Passenger vanity mirror, Perforated Suede-Trimmed Interior, Power door mirrors, Power driver seat, Power moonroof, Power passenger seat, Power steering, Power windows, Radio data system, Radio: Acura Premium Audio System, Rear anti-roll bar, Rear seat center armrest, Rear window defroster, Remote keyless entry, Security system, Speed control, Speed-sensing steering, Speed-Sensitive Wipers, Spoiler, Steering wheel mounted audio controls, Tachometer, Telescoping steering wheel, Tilt steering wheel, Traction control, Trip computer, and Variably intermittent wipers. CERTIFIED!! MOONROOF!! 1-OWNER CLEAN CAR FAX!! BACK UP CAMERA!! BLUETOOTH!! 2017 TLX IS IN THE HOUSE!! MODERN STEEL METALLIC ON EBONY HEATED LEATHER SEATS!! 2.4L 4-CYL ENGINE UNDER THE HOOD WITH A 8-SPEED AUTOMATIC TRANSMISSION THAT GETS YOU 35 MPG ON THE HWY!! LETS TALK ABOUT THE OPTIONS..., MOONROOF, HEATED SEATS, BLUETOOTH, STEERING WHEEL RADIO CONTROLS, CRUSE CONTROL, PREMIUM SOUND SYSTEM, 17 ALLOY WHEELS, 10-WAY DRIVER SEAT WITH MEMORY, HOME LINK!! BUT WAIT THEIRS MORE YOU GET THE Acura CERTIFIED WARRANTY WHICH IS GOOD UNTIL 04/28/2022 OR 62,000 MILES AND POWER TRAIN WARRANTY GOOD UNTIL 04/22/2024 OR 100,000 MILES!! ALL SERVICED UP WITH A PROFESSIONAL DETAIL AND READY TO GO! CERTIFIED!! ONLY 5,196 MILES!! NAVIGATION!! HEATED LEATHER!! SUNROOF!! 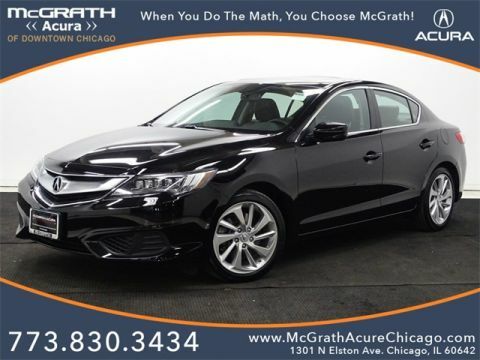 2017 Acura ILX IS IN THE HOUSE!! BELLANOVA WHITE PEARL ON EBONY HEATED LEATHER SEATS!! 2.4L 4-CYL ENGINE UNDER THE HOOD WITH A 8-SPEED AUTOMATIC TRANSMISSION THAT GETS YOU 36 MPG ON THE HWY!! LETS TALK OPTIONS... SUNROOF, NAVIGATION, HEATED LEATHER SEATS, POWER WINDOWS AND LOCKS, STEERING WHEEL RADIO CONTROLS, BLUETOOTH, SMART KEY ENTRY WITH PUSH BUTTON START, 18 ALLOY WHEELS, DUAL ZONE CLIMATE CONTROLS, AM/FM/CD RADIO, CRUSE CONTROL!! BUT WAIT THEIRS MORE YOU GET Acura CERTIFIED PROGRAM THAT GETS YOU A BUMPER TO BUMPER WARRANTY THAT'S GOOD UNTIL 04/28/2023 OR UP TO 62,000 MILES AND A POWER TRAIN WARRANTY THAT'S GOOD UNTIL 04/28/2025 OR UP TO 100,000 MILES!!! WOW WHAT MORE CAN YOU ASK FOR!! ALL SERVICED UP WITH A PROFESSIONAL DETAIL READY TO GO!! 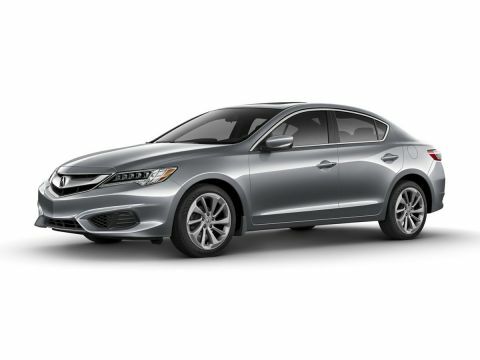 COME IN AND TAKE THIS LOADED UP ILX FOR A SPIN TODAY!! CERTIFIED!! ONLY 24,646 MILES!! MOONROOF!! AWD!! BACK UP CAMERA!! REMOTE START!! NAVIGATION!! BLUETOOTH!! 2015 TLX TECH PACKAGE IS IN THE HOUSE!! BELLANOVA ON EBONY HEATED LEATHER SEATS!! 3.5L 6-CYL ENGINE UNDER THE HOOD WITH A 9-SPEED AUTOMATIC TRANSMISSION THAT GETS YOU 31 MPG ON THE HWY!! LETS TALK ABOUT THE OPTIONS... LANE DEPARTURE WARNING WITH LANE KEEP ASSIST, MOONROOF, HEATED SEATS, BLUETOOTH, NAVIGATION, STEERING WHEEL RADIO CONTROLS, REMOTE START, CRUSE CONTROL, PREMIUM SOUND SYSTEM, ALLOY WHEELS,DRIVER SEAT WITH MEMORY, HOME LINK!! BUT WAIT THEIRS MORE YOU GET THE Acura CERTIFIED WARRANTY WHICH IS GOOD UNTIL 12/11/2020 OR 62,000 MILES AND POWER TRAIN WARRANTY GOOD UNTIL 12/11/2022 OR 100,000 MILES!! ALL SERVICED UP WITH A PROFESSIONAL DETAIL AND READY TO GO! CERTIFIED!! MOONROOF!! 1-OWNER CLEAN CAR FAX!! BACK UP CAMERA!! NAVIGATION!! BLUETOOTH!! 2016 TLX IS IN THE HOUSE!! CRYSTAL BLACK PEARL ON EBONY HEATED LEATHER SEATS!! 2.4L 4-CYL ENGINE UNDER THE HOOD WITH A 8-SPEED AUTOMATIC TRANSMISSION THAT GETS YOU 35 MPG ON THE HWY!! LETS TALK ABOUT THE OPTIONS... LANE KEEP ASSIST, LANE DEPARTURE WARNING, MOONROOF, HEATED SEATS, BLUETOOTH, NAVIGATION, STEERING WHEEL RADIO CONTROLS, CRUSE CONTROL, PREMIUM SOUND SYSTEM, 18 ALLOY WHEELS, 10-WAY DRIVER SEAT WITH MEMORY, HOME LINK!! BUT WAIT THEIRS MORE YOU GET THE Acura CERTIFIED WARRANTY THAT IS GOOD UNTIL 07/09/2021 OR UP TO 62,000 MILES AND POWER TRAIN WARRANTY GOOD UNTIL 07/09/2023 OR 100,000 MILES!! ALL SERVICED UP WITH A PROFESSIONAL DETAIL AND READY TO GO!